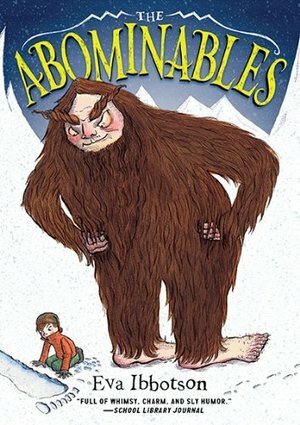 The Abominables follows a family of yetis who are forced, by tourism, to leave their home in the Himalayas and make their way across Europe to a possible new home. Siblings Con and Ellen shepherd the yetis along their eventful journey, with the help of Perry, a good-natured truck driver. Through a mountain rescue in the Alps and a bullfight in Spain, the yetis at last find their way to an ancestral estate in England—only to come upon a club of voracious hunters who have set their sights on the most exotic prey of all: the Abominable Snowmen.